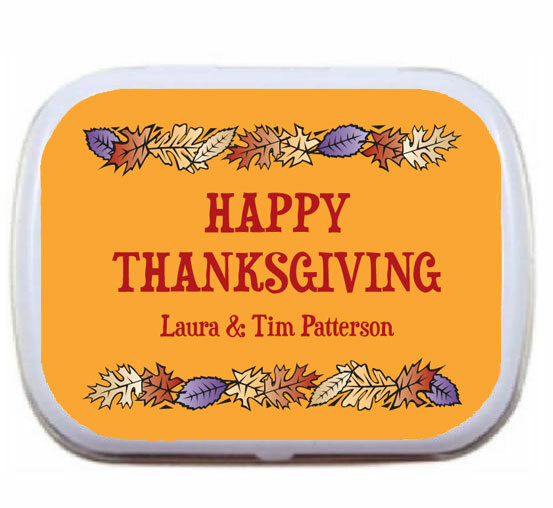 Personalized fall theme mint tins are a tasty treat for your guests! They are the perfect fall party favor, excellent for weddings, Thanksgiving or any fall them party. 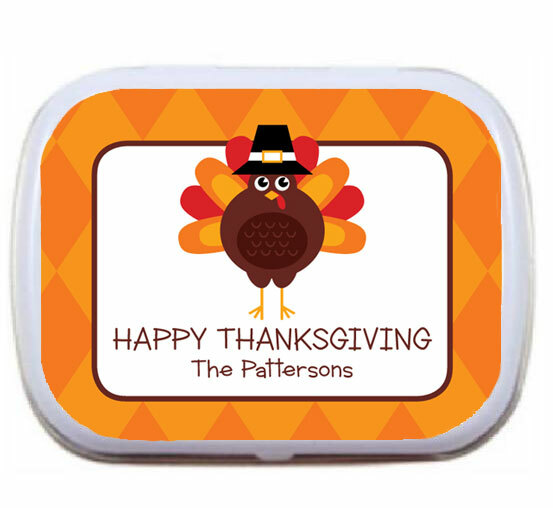 A great Thanksgiving or Fall party favor. A great Thanksgiving and Fall party favor. Place one at each place setting!